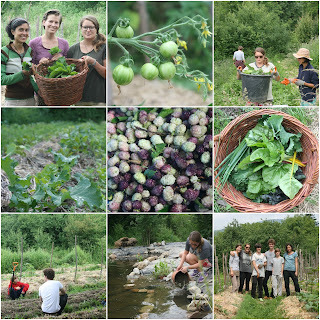 Here's a little of what we've been up to during the Polyculture Market Garden Study the last few weeks. We said our farewells to Marika Wanklyn (it was great having you on the team!) and a big thank you to Johannes who joined us for just a week during his ZIS trip ( If your adventurous, curious and 16 - 20 years old ZIS provide a great opportunity for travel). 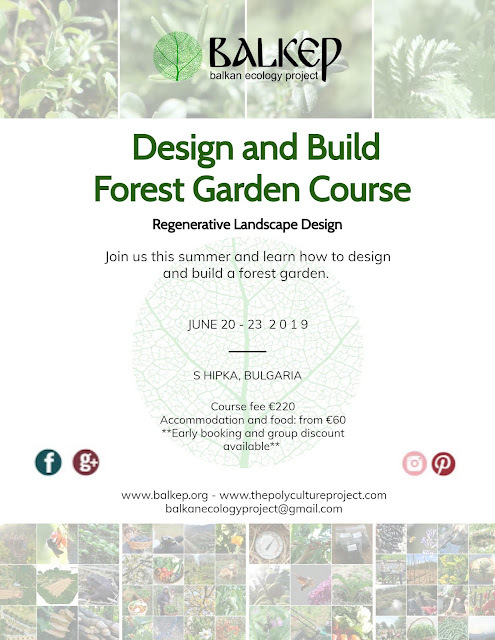 We're delighted to welcome back Ala Pekalska who helped to turn some of the garden produce into delicious meals during our Edible Ecosystem Design Course. We generally don't experience pest problems, however we do keep a close eye on a few organisms in order to prevent them from causing significant damage. Cabbage White are one such organism. 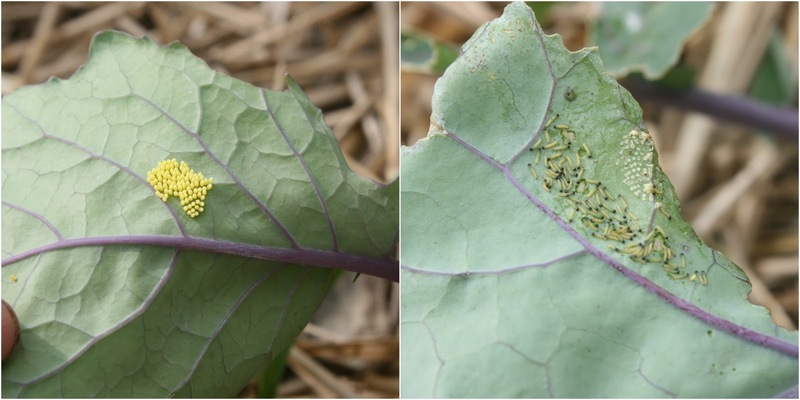 Pieris brassicae - the large white, also called cabbage butterfly or cabbage white have been flying since early June - always a clear signal to keep an eye out for their eggs on the underside of our Brassica crops which this year include Kale, Borecole and Kohlrabi. One adult female can lay up to 600 eggs and a small batch of the larva (20-30) can obliterate a 40 x 20 cm leaf in a few days so this is one potential pest we pay careful attention to. One advantage of polyculture is that it's more difficult for the butterflies to locate our crops among the other crops and they spend more time in flight where that are more likely to be caught by one of the many birds that use the garden as a feeding ground. Some butterflies do manage to mate and lay eggs so we check the underside of leaves every 4-7 days. If we fail to remove the eggs and the larvae emerge they need to travel around various other plants before they can locate another brassica food plant and are again more likely to to be located by the teams of pest predators we work with on the site i.e birds, frogs, toads, ground beetles, predatory wasps etc. The biomass weighed in at 32.2 kg. Not far off 1 kg of growth per day and almost 10 kg more than the previous cut probably due to the longer days and higher temperatures. We just about managed to squeeze the biomass into a 200 L barrel. This should convert to 15 -20 L of comfert concentrate which can be diluted further to 150 - 200 L of liquid fertliser. We're using a fast growing hybrid Symphytum x uplandicum 'Bocking 14' - Comfrey in our gardens and for this trial and will publish the full records from the biomass patch at the end of year. For more information on these super plants and how to establish and manage a patch see our previous post here. Plenty of fruit coming out of the gardens this month including raspberries, strawberries, currants, mulberries, cherries and early plums. 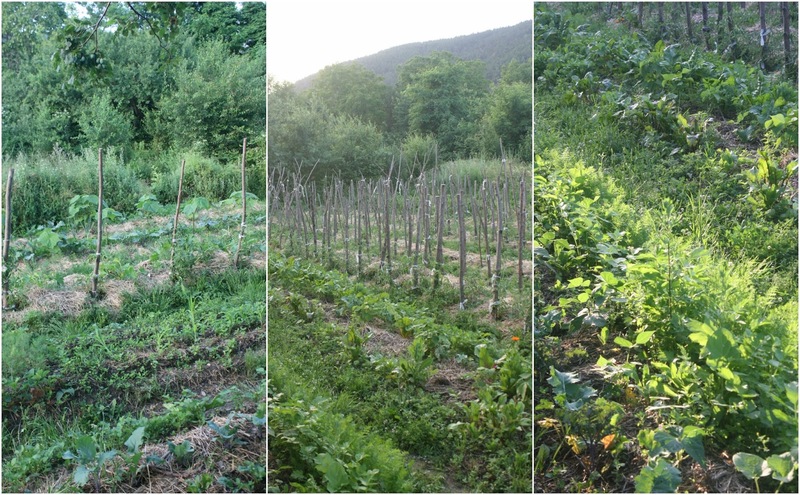 The main work in the forest garden is cutting back growth around the establishing plants, maintaining the pathways and harvesting the fruits to eat fresh, preserve and for our Trustika - food coop customers. Mulberries - a challenge to find in the market due to their short shelf life. Our Mulberries arrive to our customers less than 20 hrs after shaken from the tree. Here's a video made by my youngest son Archie of a mulberry harvest in the garden. We've been experimenting with Paulownia spp. in the gardens for the last 4 years and are seeing some excellent potential for biomass and stake material for the market garden. We're currently focusing on using the plant as a nurse species for vegetable production and to grow 1.5 m tall tomato support stakes. 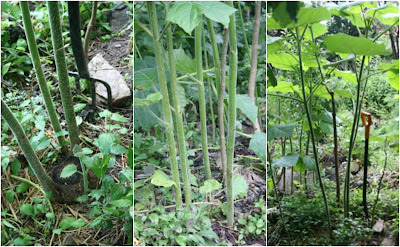 I'll be writing a more detailed post on this in the near future, but for now here are some photos of the 4 month old regrowth we are seeing from these plants in our gardens. Late spring marks the arrival of new animal residents to the garden. A small flock of ducks and two Bulgarian white pigs join us for the summer. 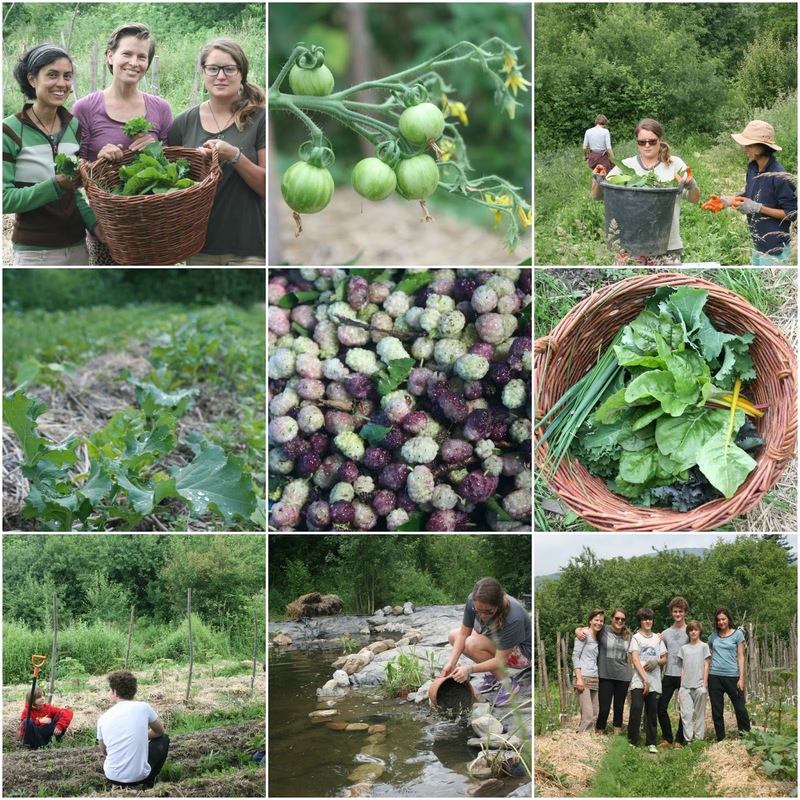 Thank you to the wonderful participants of this year's Edible Ecosystems Design Course and for all the crew that helped out. You can check the photos from the course here.